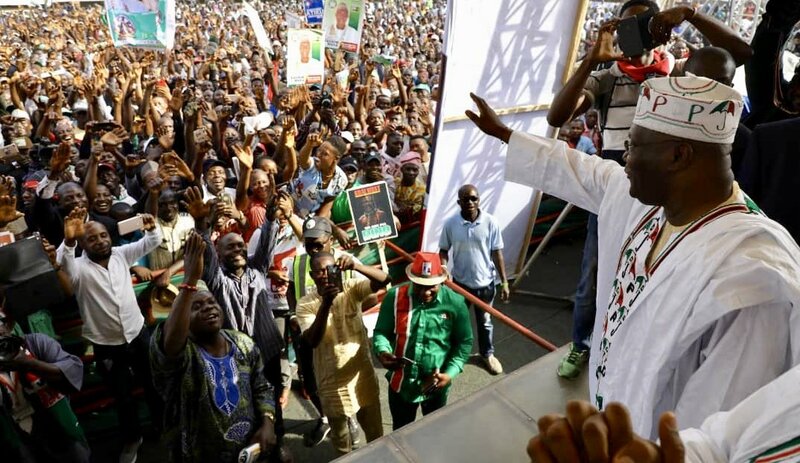 Ahead of the coming election, about 8,000 members of the All Progressives Congress (APC) have reportedly dumped the party to join the Peoples Democratic Party (PDP) in Sokoto state. According to Nigerian Tribune, the defectors were received by the campaign train of Governor Aminu Waziri Tambuwal in Wamakko Local Government on Wednesday, February 8. Also, the former governor of the State, Alhaji Attahiru Dalhatu said the political condemnation of the APC in the state is not just from PDP members from from everyone. He said: “This is a Clarion call to for the development of our State and the country at large. Meanwhile, with less than two weeks to the general elections, more troubles seem to have been brewing for the Peoples Democratic Party (PDP) as top members of the party in Akwa Ibom state defected to the All Progressive Congress (APC). The Nation reports that on Tuesday, February 5, another top aide to Governor Udom Emmanuel on project, Utibe Ibanga, defected from the PDP with many supporters including the chairman of Ikot Ekpene council, David Umana.